Agave is extracted from the leaves of a desert plant and is a fantastic natural sweetener. Here are five reasons why it is better than regular sugar. It is a product suitable for diabetic persons due its low GI (Glycemic Index) level of 33. It is 30% sweeter than the regular sugar. The solubility power is unique giving complete and faster mixing properties in hot or cold liquids. 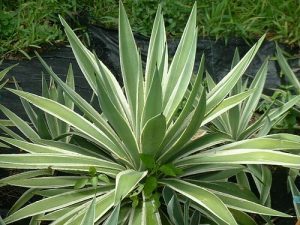 Agave does not change or modify the flavors of the products. Still not convinced? White sugar may taste good but it is not good for your body. It has been implicated in a wide range of health complaints such as obesity, diabetes, heart disease, arthritis, immunosuppression and depletion of vitamins and minerals in the body. Any sweetener in excess isn’t good for your body but natural sweeteners don’t have the same effect on blood sugar and vitamin and mineral balance that sugar does so can be part of a healthy diet if used in moderation. Agave is one of the easiest replacements for sugar because it doesn’t affect the taste or texture of the food it is added to but there are many other natural sweeteners you could try including maple syrup, honey, brown rice malt syrup, barley malt syrup and black strap molasses. Check out the recipe section of the Cafe for a few ideas.